Transparency when it comes to public business doesn’t appear to be in vogue anymore. Republicans are supposed to be suspicious of big government. Instead, the GOP leaders who run the Legislature’s budget committee want citizens to trust state government with sweeping secrecy. 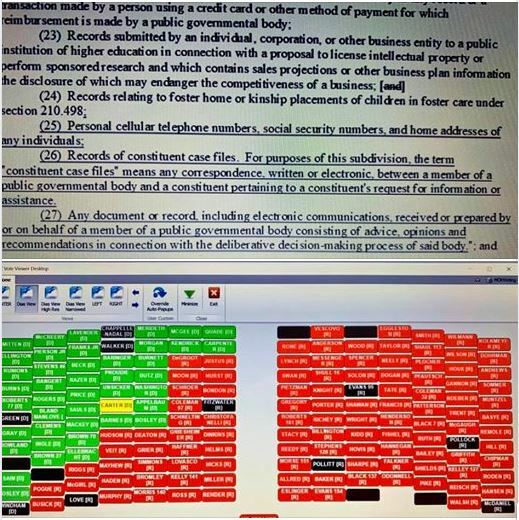 The full Legislature should reject the Joint Finance Committee’s sneaky attempt Thursday night to exempt state lawmakers from Wisconsin’s open records laws…. ….Aren’t Republicans supposed to favor responsibility? Apparently, Wisconsin Republicans do not. In other words, state lawmakers do what they want, when they want – and taxpayers will be in the dark…. JEFFERSON CITY, Mo. -A Missouri judge dismissed Tuesday an advocacy group’s lawsuit that challenged restrictions on filming Missouri Senate committee meetings. Cole County Circuit Judge Jon Beetem dismissed the petition brought by Progress Missouri, which claimed decisions by Senate committee chairmen to prohibit filming by the group violates the state’s open meetings law. The liberal advocacy group also said the prohibition infringes on its freedom of speech and association. Sunshine ain’t bustin’ out all over. Interestingly, there was no response. Today, Progress Missouri filed suit against the Missouri Senate for its continued refusal to adhere to Missouri’s Sunshine Law. Missouri state senators have repeatedly denied access to public hearings of Senate committees, in violation of state law, and we are escalating our fight for open government. Our democracy works best when there is transparency and accountability, and the Sunshine Law is a necessary tool to maintain both. Some state senators, including Mike Parson, Mike Kehoe, and David Sater think that the Sunshine Law doesn’t apply to them. They’re wrong. A copy of the petition filed in Cole County may be found below. Senators Parson, Kehoe, and Sater have repeatedly denied Progress Missouri access to film public hearings of committees that they chair. Unfortunately, this is not a new practice. Progress Missouri has been denied access to film hearings by Ron Richard, Scott Rupp, Will Kraus, and Brian Nieves in previous years. Earlier this year, PoliticMO reported that KRCG reporter Kermit Miller was denied the ability to film a public meeting. In 2014, former Sen. Nieves ordered all video and TV cameras out of a public hearing. All of these denials violate Missouri’s Sunshine Law. Progress Missouri films and live streams committee hearings in the Capitol in an effort to document the actions and statements of elected officials, and has attempted to work with Senators to gain access to public meetings in accordance with the law. However, Senators Parson, Kehoe, and Sater have steadfastly refused to acknowledge that the Sunshine Law applies to them. The Missouri Senate helped write the Sunshine Law. It’s time for Missouri’s state Senators to start abiding by it. Because keeping people from information about public business is just like a privately operated social media platform? Maybe it all depends on which Amendments to the U.S. Constitution you think are really important. That’s a really good question. Heh. Sarah Steelman (r): Records? What records? We have received requests for former Treasurer Steelman’s schedules, emails and other public documents. Our team has searched the office for any schedules and we do not have them. We have emails that were received by former Treasurer Steelman to her state email, but there are no sents. We have some executive files and a lot of non-executive files (psa’s, media advisories) that were not turned over to Secretary Canahan’s office that we can send to you via CD if you want. Some things were already available like salaries in the BlueBook. We asked Secretary Carnahan’s team for any of her records that were turned over at the end of her term and there were no executive boxes from her administration. Attached are the retention schedules in place at the time she was in office, along with an email from the Secretary’s office. Also attached is the original Sunshine request and an email from our office regarding the original request. Apparently this request came from an individual associated with the Democratic Senate Campaign Committee in Washington, D.C.
On March 7, 2011, you requested records from State Treasurer Clint Zweifel’s office. You requested records during Sarah Steelman’s tenure as state treasurer relating to: employee titles and compensation, travel records and reimbursements, schedules for Treasurer Steelman, email logs for Treasurer Steelman, office expenditures, copies of franked mail and PSAs, audits, correspondence between Treasurer Steelman and Governor Blunt, and sunshine law requests. We have spoken before and you mentioned that you would find the requested audits on the State Auditor’s website. If this changes, please let me know. Unfortunately, many of the records you requested do not exist. 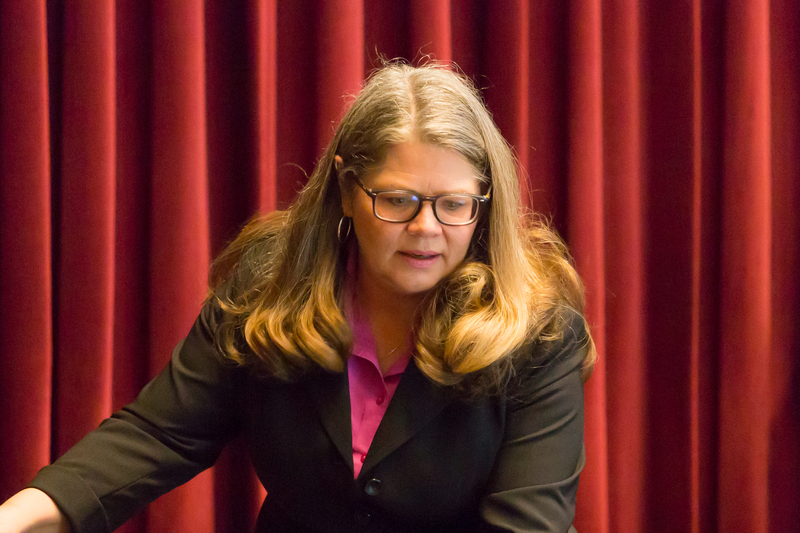 After a lengthy search, Treasurer Zweifel’s office was unable to find any schedules for former Treasurer Steelman, a listing of Sunshine Requests, or official direct correspondence between former Treasurer Steelman and former Governor Blunt. While there are some letters included addressed to Governor Blunt, I could not find any letters that had been signed or any record of these letters having been sent. Furthermore, with regard to e-mails, I can send you a CD with two years (2007 and 2008) of e-mails that were sent to former Treasurer Steelman. I do not have any record of e-mails sent by Steelman. I can get the other two years, but it has been estimated that the cost would be well in excess of $1200.00 to get the information off tape. Unless I hear from you, I am going to assume that you do not want those two years of e-mails at that cost due to your maximum dollar amount contained in your request. If you do want those e-mails, let me know and I will get you a cost estimate and timeframe. Also please advise whether you would like the emails I do have access to mailed to you. With regard to sunshine requests, I have found some responses to requests, but there are not many. I can send you the few that I have found if you are interested. a. A fee of $40.00 per hour for activities performed by attorneys. b. A fee of $20.00 per hour for activities performed by other staff including time required to locate, prepare and copy responsive documents. c. A fee of $.10 per page for copies of a document. d. Fees include only the cost of copies, equipment use, programming and staff time required in the production of a public record maintained on computer, facilities, recording tapes or discs, videotapes or films, pictures, slides, graphics, illustrations or similar audio or visual items or devices. e. Documents may be furnished without charge or at a reduced charge when the State Treasurer’s Office determines that waiver or reduction of the fee is in a public interest because it is likely to contribute significantly to public understanding of the operations or activities of the State Treasurer’s Office and is not primarily in the commercial interest of the requestor. I spent a total of 3.5 hours working on this request. Therefore, your total bill is $140.00. Please send a check payable to Missouri State Treasurer at the address below. Does Secretary Carnahan’s Office have any records that satisfy the below request? Also, would you send me the retention schedules that were in effect during this time period for the State Treasurer’s Office? The Archives does not have any records from the Treasurer’s office for the 2005-2009 years. We do, however, have copies of the 2005-2008 audits of the treasurer’s office (in the State Auditor’s Collection), and the Blue Book (05-06, 07-08) would contain information on Employee titles and compensation. Michael Shellman, in records management, is working on getting me copies of the retention schedules that were in effect. I will get those to you as soon as he finds the right ones (both the General Retention Schedule and the Treasurer’s schedule were revised in 2010 so the current version would not be the version that would have been in effect in 2005-2009 . The two files we received from the State Treasurer’s office were PDFs of an “Agency Records Disposition Schedule” for the State Treasurer from 1996 and an General Retention Schedule “Agency Records Disposition Schedule” from 2007.
which must be retained for longer periods, and still others which must be sent to the State Archives. DESCRIPTION: Documents of a general nature that were created or received in the course of leading and managing the agency or department, which are not included in another record series. Examples of general correspondence are: (a) interoffice or interdepartmental communications which do not subsequently result in the formulation of policy; (b) daily, weekly, or monthly work assignments (including duty roster files) for agency staff; (c) calendars, appointment books, schedules, logs, diaries, and other records documenting meetings, appointments, telephone calls, trips, visits, and other daily activities of state employees; and (d) unpublished calendars of events and activities. Transfer to the Missouri State Archives. The March 11 issue of the Muleskinner, the weekly student newspaper at the University of Central Missouri, included a front page article on an unfilled Missouri Sunshine Law request pertaining to the search for a new president for the institution. 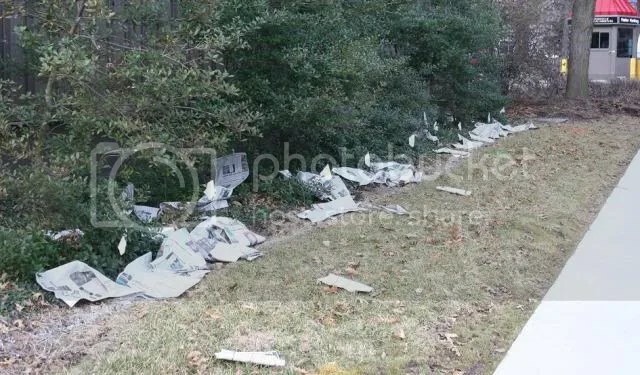 This morning a significant number of newspapers were scattered about the University’s visitor lot (and the University president’s designated parking spot) and along South Street. 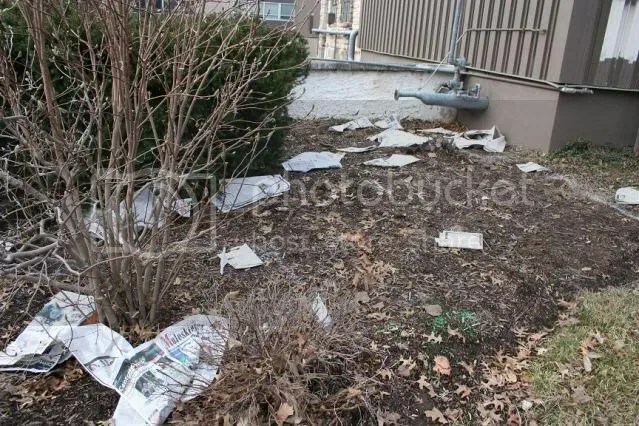 We had heard rumors that previous issues of the paper had gone missing from campus newsstands. At the entrance to visitor parking. It couldn’t have been because of the headline story, could it? It was probably just someone who doesn’t like to read. 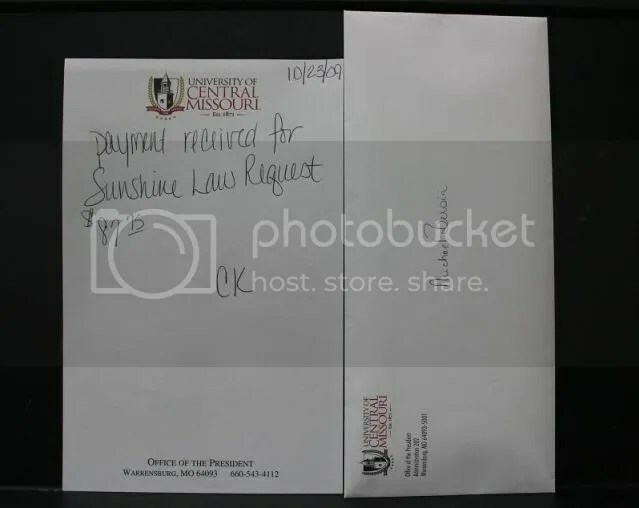 This morning we plunked down $87.75 in cash (and got the receipt) for one sealed envelope which contained the results of one of our Missouri Sunshine Law requests concerning the contract between KOKO Radio (D&H Media) and the University of Central Missouri. Back to our request for information. The sealed envelope contained three sheets of paper. […. ]In accordance with Section 610.024 1. (1) “.. ..Research time required for fulfilling records requests may be charged at the actual cost of research time. Based on the scope of the request, the public governmental body shall produce the copies using employees of the body that result in the lowest amount of charges for search, research, and duplication time. Prior to producing copies of the requested records, the person requesting the records may request the public governmental body to provide an estimate of the cost to the person requesting the records. The cost of compiling a report that responds to your request is $87.75. The report will be made available to you once payment is remitted. 1) Under Paragraph 13 it is stated that the parties to the contract are required to meet annually to “review and reconcile the gross advertising sales information.” Is it the assertion of the University, as indicated by the response to my original request, that no further communications have taken place concerning compliance with Paragraph 13? If the meetings(s) took place, this is a request for communication(s) concerning the scheduling, agenda, and actions of any meetings concerning compliance with paragraph 13 of the contract. 2) Under Paragraph 12 KOKO is required to make quarterly payments to the University. This is a request for the dates and amounts of those payments since the inception of the contract. > any other communications concerning the contract. > signed in 2005 (or possibly 2004). > 2. Any and all addenda for said contract. > concerning compliance with that contract. Uh, we didn’t get the dates of those payments. We’re gonna ask again. We’re not accountants, but to paraphrase Senator Al Franken who has done some research, neither are most Americans. When we balance our checkbooks it doesn’t quite look like this. And we figure that since we already had the information contained in the two sheets of paper documenting our exchanges of e-mail, we were really only paying for the remaining sheet of paper. We received an additional response to one of our Sunshine Law requests. […. ]Pursuant to your request of October 23, 2009, attached is a copy BOG Policy 4.1.010 – Bids and Contracts Approval Policy approved by the Board of Governors on April 18, 2001. This a request for information under RSMo 610.
iversity follows a competitive bid process to ensure impartiality in awarding contracts and to ensure the best possible use of University funds. A. Authorizes the University President or designated officials to sign off on routine items bid under $50,000. B. Requires University officials to report items bid between $50,000 and $100,000. C. Must approve items bid over $100,000. Uh, that ten year contract was worth over $100,000. This policy ensures that the best possible use is made of funds available to the university. 1. Authorizes the university president to delegate contract and decision-making authority to direct reports within limits set out in position descriptions or by written delegation and to approve short-term (not longer than one calendar year) grants of leasehold interests in university real property. 2. Directs the university president to adopt university procedures to ensure efficiency and accountability governing bids, contracts, agreements and all commitments of university resources. The University of Central Missouri follows a competitive procurement process to ensure integrity and the best possible use of funds available. 1. Retains authority to purchase, regardless of the source of funding, or sell university real property for the use of the university. 2. Retains authority to lease real property for use by the university if the lease term exceeds one year and payment exceeds Two Hundred Thousand and no/100 Dollars ($200,000), regardless of the source of funding. 3. Retains authority to approve any agreement to purchase property or services over multiple budget years when at completion of the agreement the total commitment exceeds Two Hundred Thousand and no/100 Dollars ($200,000), regardless of the source of funding. 4. Retains authority to approve demolition or construction of university buildings, regardless of the source of funding. 5. Retains authority to approve capital projects, major renovations, or significant alterations that were not included in the fiscal year budget approved by the Board of Governors…. “Retains authority” in this policy update probably means that they claimed that same authority in 2005 when the radio contract was signed, don’t you think?